No more need to dread washing up after a big backyard barbecue! 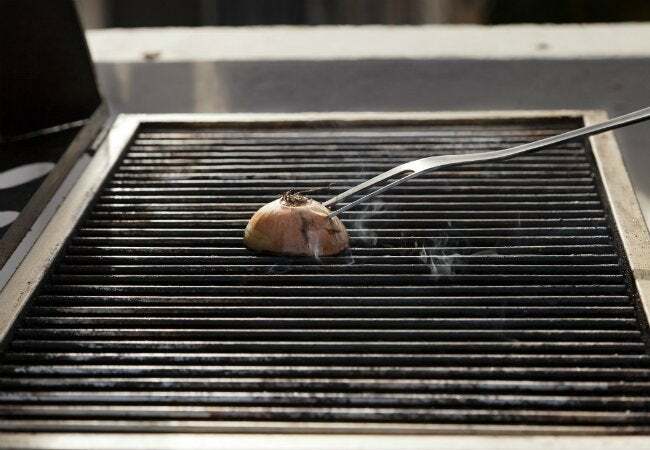 Clean your grill's grates in between cookouts with this easy, tasty trick. 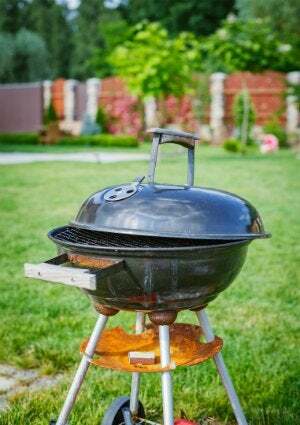 If cleaning your outdoor grill were just as easy as cleaning your household oven, it wouldn’t be so bad—but, alas, there’s no self-cleaning feature on this appliance. You’re stuck with the entire job. As unpleasant as it is, you absolutely have to give your grill a thorough cleaning at the beginning and end of each barbecuing season. But you also need to give it a quick once-over between grilling sessions. Keeping your grates free from grease and burnt-on gunk will both prolong the life of your grill and improve the taste of your food. Fortunately for you, there’s an effective, inexpensive, and chemical-free way to get the job done right, and the key ingredient—an onion—is most likely already sitting out on your kitchen counter with the rest of your grill-time supplies. Not only does an onion contain a natural disinfectant, but it also cleans surprisingly well. To work it over your grill, cut the onion in half and peel back the papery skin. Next, light the grill and turn the heat up high until the grates are nice and hot. (It doesn’t matter whether yours is a gas or charcoal grill—this trick works on both!) Skewer the onion with a long metal barbecue fork or grab it with tongs, and rub its cut side back and forth along the grates. Notice how the onion removes any built-up residue. Plus, the onion leaves behind a bit of seasoning on the surface—an added bonus the next time you cook. Once you’re done, dispose of the onion in your compost pile or, if you’re about to fire up your charcoal grill, throw the vegetable into the coals and enjoy an extra hint of smoked onion in your meal.